Buy Plotter with CISS and make 30 times more quality prints for the same money! Pay only 0.04 USD for A-4 full color imprint! Add quality and productivity to in-house production printing up to 24" wide. Enhance performance in proofing, photography and even fine art with UltraChrome K3 ink and Vivid Magenta technology. Take larger format printing to new levels of quality, stability and consistency. Discover UltraChrome K3 ink with Vivid Magenta technology, and combine superb results with improved productivity. The iPF605 is a 5 colour dye/pigment ink 24? large format printer, ideal for CAD & GIS applications thanks to its fine line reproduction, vivid colours and detailed images. The multi-purpose iPF610 A1 printer provides vivid colours, precise line rendering and unbeatable performance to cater for all your CAD/GIS applications. 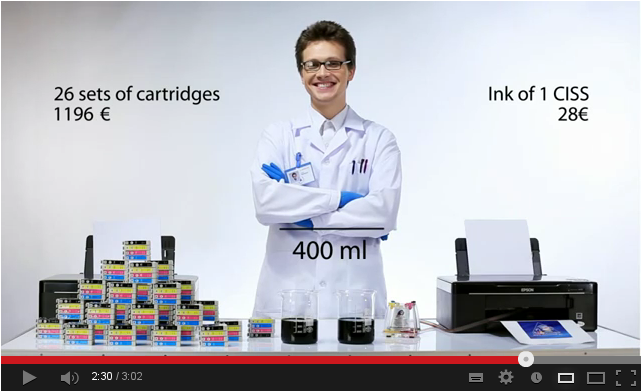 Inkjet plotters with CISS - right choice for business! 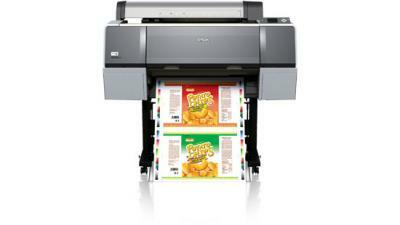 Inkjet plotters are wide-format printers. The devices, represented in this section, can print photos, reproductions and posters on roll and sheet carriers. Wide-format printings are notable for a good color rendering and minimal cost price. 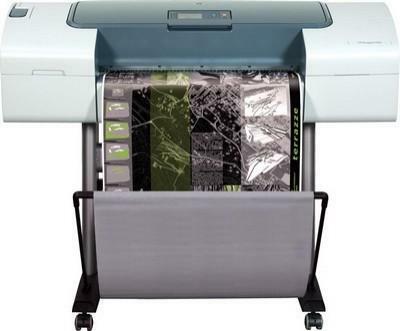 A wide-format printer will prove useful in design companies, advertising agencies and engineering organizations. The price of the device as well as a preset CISS makes wide-format printing not just quality but also quite affordable. You may buy plotter on our site, making your choice right here, on this page. An inkjet plotter that is generally used by designers will help you to create unique works of art. This printing device lets create colorful posters, reproductions and prints for interior design. A1 plotter prints wide-format full-color images and black-and-white photos in the quality comparable with typographical printing. The widest color gamut and a big choice of color settings of ink-jet plotters let designers realize their abilities and talent at full scale. 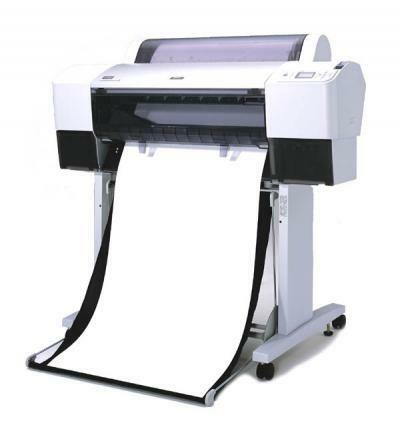 If you need not just wide format but the widest-format printing, you can buy an A0 plotter like plotter Epson or plotter Canon and make really enormous creations. Wide-format plotters are indispensable helpers in engineering companies too. Designers, architects, electro scheme technician вЂ“ all people who have got accustomed to imagine things in the form of charts will appreciate wide-format plotters at their true value. Printing devices, intended for solving engineering problems of printing, draw even the thinnest lines clearly. You may buy A1 plotter for departments of projection and development and get clear and contrast POS-materials, CAD and GIS drafting. The price for every plotter is rather lower than the quality of the device. Online-store Inksystem.com sells plotters that can print on different carriers. Printing devices work with rolls and sheets, while the thickness of the carrier can reach 1.5 mm. Thus, an inkjet plotter can make wide-format printings on a thin paper as well as on a thicker one. A price for the device is quite acceptable as for engineering companies as for individual entrepreneurs. We are sure that your acquisition won't disappoint you and that you will put up an ad like "Wide-format printer for Sale" only when you wish to purchase even more economic device of higher quality and of the latest pattern. Every inkjet plotter, presented in this section, uses the latest piezoelectric technology of printing. Plotters print with micro drops of variable size. The smallest details and the thinnest lines are thoroughly "drawn" by tiny ink drops (3.5 pl), while bigger drops quickly fill large single-color areas. So, it's possible to buy a wide format printer and get several, at first sight incompatible, things: perfectly detailed printings and high print speed. Moreover, the cost price of every plotter is minimal. On our site you can buy a plotter with a preset continuous ink supply system. The CISS, already installed on a device, is very convenient and profitable. First, the system, installed on the device, minimizes the cost of printings. Second, it's much more convenient to use CISS or compatible ink cartridge, then to buy new cartridges every time you have run out of ink. And, at last, buying an A0 plotter with a preset CISS means avoiding a need for installing it later, when you decide to reduce the cost of print. You may start printing with an enormous economy on every drafting or reproduction immediately after the delivery. Before giving you any information about capability of large format printing, we would like to give a brief introduction concerning printing device - wide format plotter. It is difficult to imagine any advertising business without service of large format printing. Due to this type of printing it became possible to create any external advertising material of appropriate size. You could make both a little poster and a big billboard. The large format printing products are very widespread. They are used in shop window design, in creation of external and internal advertising. Also you could meet it on exhibit booths, advertising roll-up or trading establishments. You also could get good images, which are printed on banner fabric. All these are possible with ink-jet plotters. Ink-jet plotter is a printer with wide format. It allows you to print such images as black-and-white sketches, charts and different diagrams. If you purchase a plotter with Continuous Ink Supply System, you will able to get wide-format photos, reproductions or advertising posters. Such kinds of printing as printing on film, plastic, canvas are also in demand. 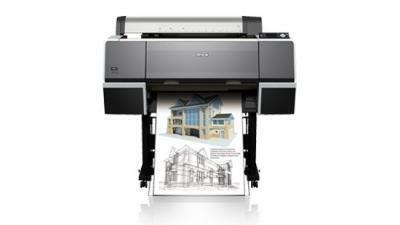 These printers will meet expectations even of the most demanding user. You will not pay a lot of money for the work of professional artists. The printing quality, color gradation and steadiness of images is guaranteed by ink-jet plotter. It will give you a high quality for a reasonable price. 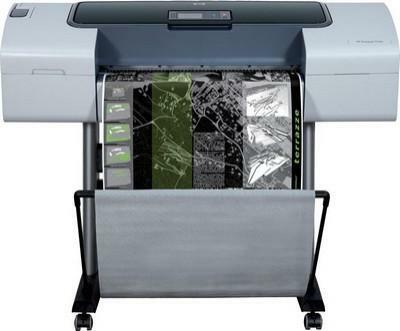 A wide-format printer will perfectly fit any designer company or advertising department. Also it will be of use for photo centers and engineering companies. A wide format is a synonym of a quality professional printing. A color plotter has to be a member of your creative designer team. The plotter's model could influence the printing quality and color of posters and images. It worth buying a plotter with Continuous Ink Supply System. It will give you an excellent durability and color rendering. We recommend you to buy this device and to combine quality with a reasonable price. It will be more profitable to use this reliable and handy device than to purchase and install Continuous Ink Supply System separately. Do you really wonder where can you find "all-in-one" device? You could do it just now, on our site. Selling plotters is one of the line of INKSYSTEM business. The advantage of our Company is that we offer you not only high-quality printing devices and consumables. You could buy it on a reasonable price. 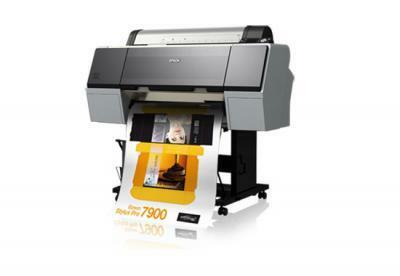 The wide-format printer's price will surprise you. You could choose any plotter according to your demands. For example, you should purchase a canon plotter Chicago with Continuous Ink Supply System for an engineering company. It will give you the possibility of printing a great amount of sketches, drafts, and different layouts for a lower price. Professional designers, developers and architects will be satisfied with this high qualitative wide-format plotter with CIS System. 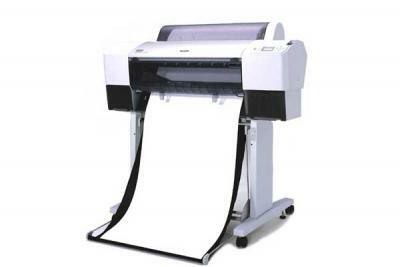 You could also choose a large format plotter New York. It will provide you with qualitative POS-materials, clear lines on drafts of CAD and GIS, good color rendering. Of course, to make savings on printing, you should buy a plotter with Continuous Ink Supply System. We could help you! If you visit our online store you will find a great assortment of different devices. Among all other plotters we offer a high-qualitative HP plotters. In our online store we offer only reliable devices, which will save your money and provide you with a qualitative and long-life operation. You could also find compatible ink cartridge Washington in our spore. It is reliable, handy and economic. Everything we offer you could purchase for a low cost. 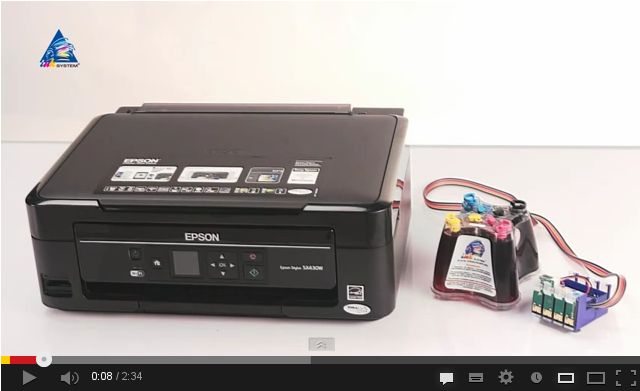 We also recommend you to take a notice on new Epson T50 printers. Just choose, buy and use! Are you still wondering what to choose? Look through the wide assortment of different devices and consumables in our catalogue. And also you should take a notice on their price. You will able to get sheet and roll Epson plotters and their cost will satisfy you. Moreover, we offer devices from well-known CISS manufacturers Florida. If you purchase our plotters with CISS you will get a quality and quick printing for a low cost. 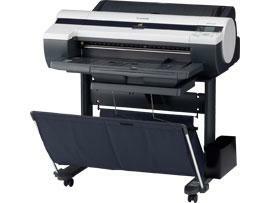 Ready to buy A1 Canon plotter, but are not sure about what model to choose? In inksystem.com catalogue a huge assortment of plotters is presented. The prices differ greatly and depend on several factors, such as format, print system and extra facilities. That's why, the first thing you should do is to decide, what you need a printing device for. For example, you may buy A0 plotter at a reasonable price if you decide to economize on the quantity of colors. You may afford it in case you don't need subtle nuances of color. A more expensive plotter is necessary for designing or advertising purposes, when color rendition and subtle details are as important as format. But whatever plotter you've chosen, its price will be lower than in many other stores. 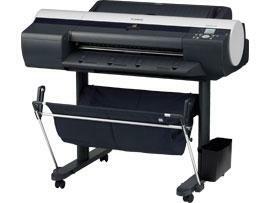 You may buy an inkjet Epson plotter on our site. To make it you are to choose the model of plotter, the price, quality, reliability and functionality of which will suit you. After that you are to press the button "buy" on the page of this model. Ordering a plotter in New York, you may choose self-delivery. After you've made an order, our managers will contact you to specify all the details. 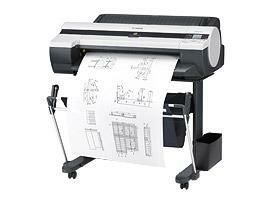 Besides, you can buy a plotter at our regional dealers'. You can easily find our representatives' addresses in the section "dealers". Choose a suitable HP plotter at a reasonable price and let yourself make wide-format printings of high quality. There are plenty of such models on inksystem.com. Moreover, the devices have a pre-installed CISS, thanks to which your plotter will pay for itself in a couple of months. It's quite easy to buy a reliable and economic plotter. See our assortment and get evidence that it's true. Make wide-format printings with pleasure!